One in ten people in this country suffer from some type of dependency on drugs or alcohol. Today, that equals to approximately 23.5 million Americans. People who have suffered from an addiction and sought help through rehabilitation services have only just begun their journey as a clean and sober individual. Once they leave the privacy and intensive care of a rehab facility, they must learn to adjust to everyday life that can be filled with challenges. Here are 5 tips to help your loved one begin their journey sober, post-rehab. Returning to their lives requires the help of those who are closest, such as friends and family. The stronger their support system, the more likely they will maintain their sobriety. Knowing there are people to lean on when times are tough gives people battling addiction hope. They know they have people to rely on when they need someone to talk to or to assist them with steps in their recovery. Did you know the rate of overdose deaths from anti-anxiety drugs alone increased fourfold from 1996 to 2013? And there’s a common misconception that anti-anxiety medication is safe because it’s prescribed by a doctor? Let’s take a look at a few anti-anxiety drugs most commonly abused by people under 30. Stress is bad news. The medical community agrees that prolonged, unmanaged stress can lead to long-term health problems, depression and insomnia. The worst part is that stress can come from any aspect of our lives: work, relationships, our own insecurity or those bills that won’t stop coming. The medical community also agrees that stress is (unfortunately) a natural part of life. And if managed properly, regular amounts of stress can even help us thrive! So the answer to stress isn’t to eliminate it, but to manage it in responsible ways that allow us to move forward and enjoy life, health and our loved ones. 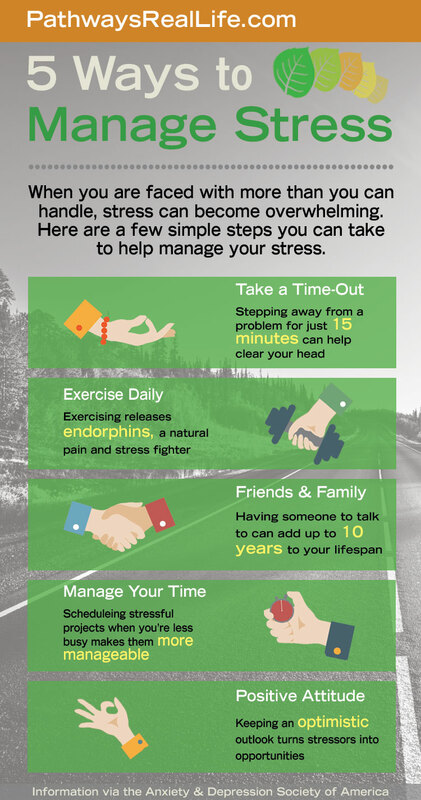 Here are nine simple ways to manage stress. Social anxiety, also called social phobia, is the fear of being around people. A person suffering from social anxiety often has unreasonable or excessive fear of social interactions or situations, and would rather be alone than interact with other people. It arises from the fear of being judged, criticized, or closely watched by others. It is estimated that social anxiety disorder affects roughly 15 million adults in the U.S and is the most common mental illness in the United States. It is as common in men as it is in women but often affects people around the age of 13.